Once you have reviewed our services and feel that Stellar may be the right fit for you and you would like us to custom create a design for you, please send us a message from our Contact page. Please also be as specific as you can be in regards to your request. 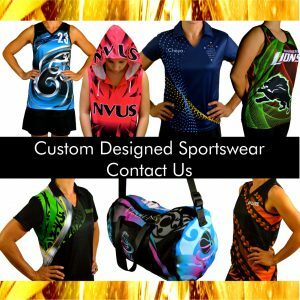 From this email we will send you the most appropriate Price Guide which will outline all of our garments that are available for custom design and manufacturing. If Stellar is the right fit for you, we will require confirmation by email. We will require some ideas on what you would like for your design. Colours (main and additional highlights). You are welcome to send us jpegs of images from the net that you like. Initial artwork to client at normal times can be up to 1 week depending on business levels and depending on how thorough you are with sending us information. All prices on the Price Guide are in Australian Dollars and are fully inclusive from Design to Delivery - no other prices to pay! Within Australia - Delivery is 4 weeks max from full payment and final artwork design. Rest of World - Delivery is 6 weeks max from full payment and final artwork design. Please be aware that the time frames for all deliveries, once they leave our factory, are out of our control. The delivery time frames stated above are indicative only and are subject to International and National Courier services plus Customs services within your country. When given to us, an order tracking number will be given to you. Should a Merchandise Catalogue be required, please advise as soon as possible so time can be allocated for construction. Merchandise Catalogues are created free of charge (these are only supplied once the initial purchase has been made). Except the Bag Range and Softpeak Visors (min order quantity is 10) all items that we produce are a minimum order quantity of ONE (quantity charges will apply). Ordering is very simple and we try our best to work with you. So no fancy confusing online ordering forms. Simply email us with the information or attach a spread sheet.